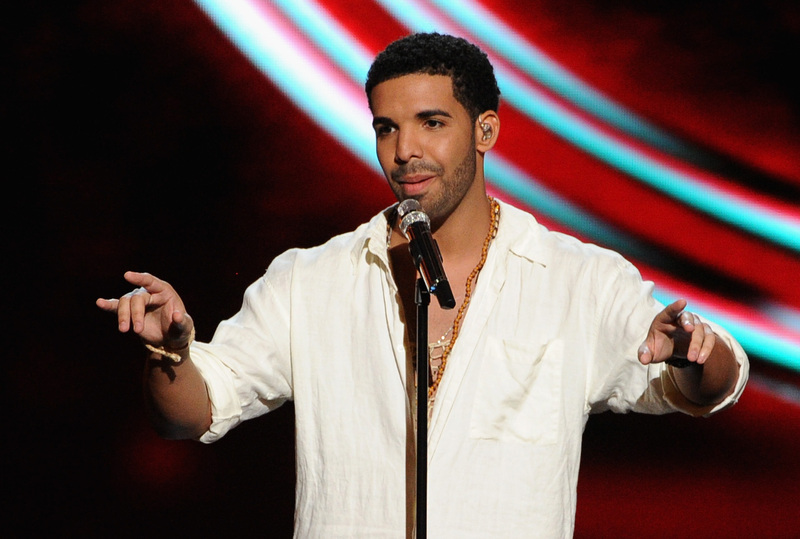 Among the numerous questions that the audience was left with after the 2014 MTV Video Music Awards, the one that rang the loudest for me was, "Where's Drake?" I mean, I had a lot more questions, but the fact that Drake wasn't there to have a reaction shot to Jay Pharoah mocking his appearance in Nicki Minaj's "Anaconda" video made me all kinds of sad. As it turns out, Drake is on tour with Lil' Wayne and thus couldn't be present for the VMAs, but, thankfully, that didn't stop him from preparing an acceptance speech. Since he won a moonman for Best Hip-Hop Video, Drake gave a VMAs acceptance speech during a concert Monday night and it was missing something. However, Drake forgot to thank a lot of people and things during his one minute speech that I think he shouldn't have left out. Hellooooo, Drake? You started from the bottom now you're here? Or, rather, I guess geographically you started from the top and now you're here. Either way, the fact that you didn't give your home country a shout out was just plain wrong. I know it's the same country that produced Justin Bieber, but if we've forgiven Canada for that then so can you. Thank you to Nicki Minaj for the drunken lap dance. Considering how excited Drake was on Twitter that he has friends who call him to a music video shoot to have him sit for a lap dance, you'd think he would have spared even half a second to thank Minaj for existing. Houston, Texas gave Drake his own holiday and yet Drake neglected to thank them for his Best Hip-Hop Video award? MTV might have given him a moonman but Texas gave him an entire day devoted to him. Then again, being in one state and thanking another might have led to a riot at a Drake concert, so it's probably better that he didn't. It's Drake we're talking about. I'm shocked he got through that entire speech without some kind of shout out to basketball. Thank you to Jay Pharoah for pointing out that Drake was just sitting there like a creepy guidance counselor during the entire "Anaconda" video. Having come to that realization, Drake should then end his concert by following my suggestions of better ways Drake could react to his "Anaconda" lap dance. Obviously. Thank you to Rihanna for not dumping him over the aforementioned lap dance. Unless they're not back together. Or not still together. Seriously, what is going on with Drake and Rihanna these days? Well, at the very least he should thank her for being Rihanna. Again, helloooo, Drake? We're feeling a little neglected over here.